I’ve always been fascinated by the original Captain Marvel. The idea of the character—a kid with the magic word SHAZAM! that transforms into the World’s Mightiest Mortal—was pure genius. Zack Smith just concluded his series An Oral History of Captain Marvel over on Newsarama, which takes you through the history of the Big Red Cheese from the 1940s to the modern era. The legal history of the character is also fascinating, especially the legal battles between DC Comics and Fawcett, which resulted in Captain Marvel’s cancellation and let Marvel Comics create their own character with the name. I was especially glad to read the chapter titled The Shazam Years Part 1, where DC Comics revived Captain Marvel in SHAZAM #1 in 1973. I bought that first issue, along with Mark Waid, Alex Ross, and a lot of other fans. Zack Smith also shared the above piece by Mike Wieringo, which he created for his pal, Mark Waid. 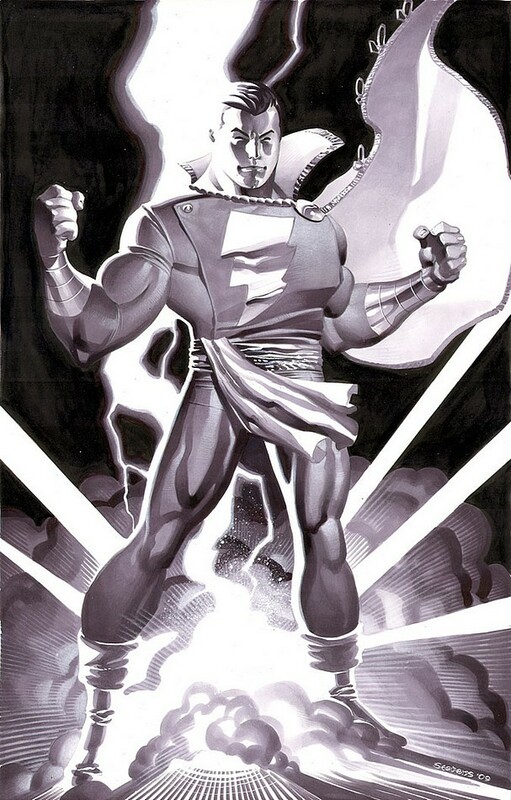 I have a few Captain Marvel pieces that I collected over the years. This one is by Jim Aparo from the Comic Reader #101 from 1973. 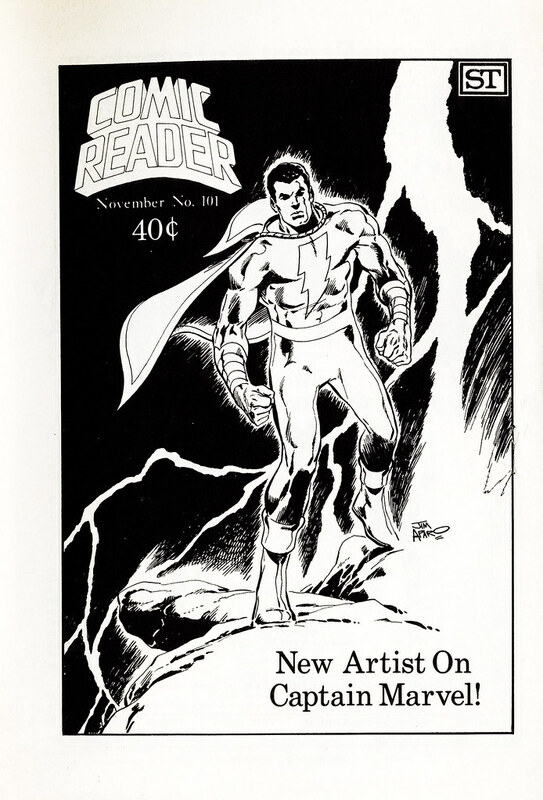 In the Zack Smith’s series, one problem noted for the failure of the first Captain Marvel revival was sticking to CC Beck’s original art style and stories from the 1940s. Aparo’s rendition here is more modern—the hero looks like he could go toe to toe with Neal Adams Superman! Don Newton’s short history with the character is also mentioned in Zack Smith’s series. I remembered the last issue of SHAZAM (#35) quite clearly and thinking that Newton had a nice take on the character. 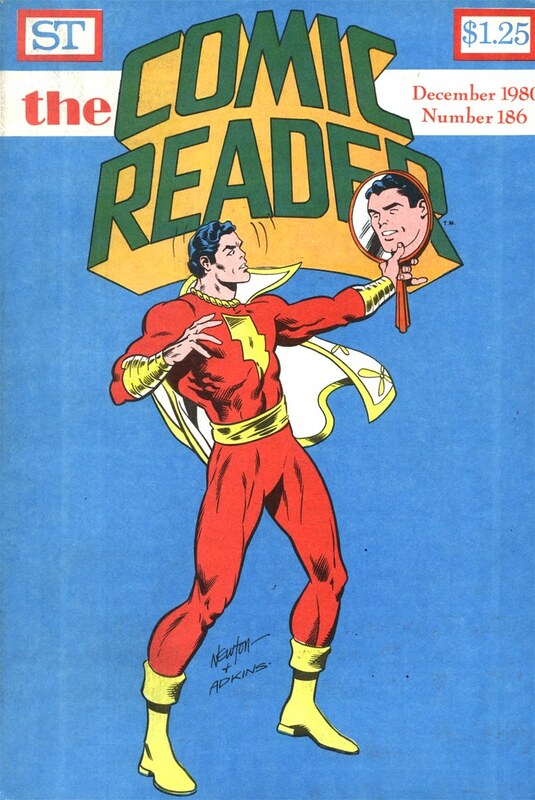 In this Comic Reader cover from 1980, Newton’s Captain Marvel looks in the mirror—and sees his CC Beck style reflection. Part of the charm of Captain Marvel’s world was his family. Billy Batson was an orphan. 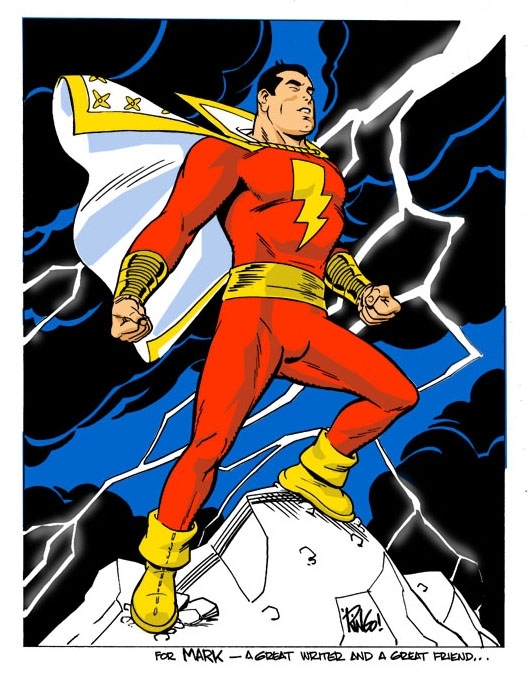 But his alter ego had Captain Marvel Junior, Mary Marvel, Tawky Tawny, etc. 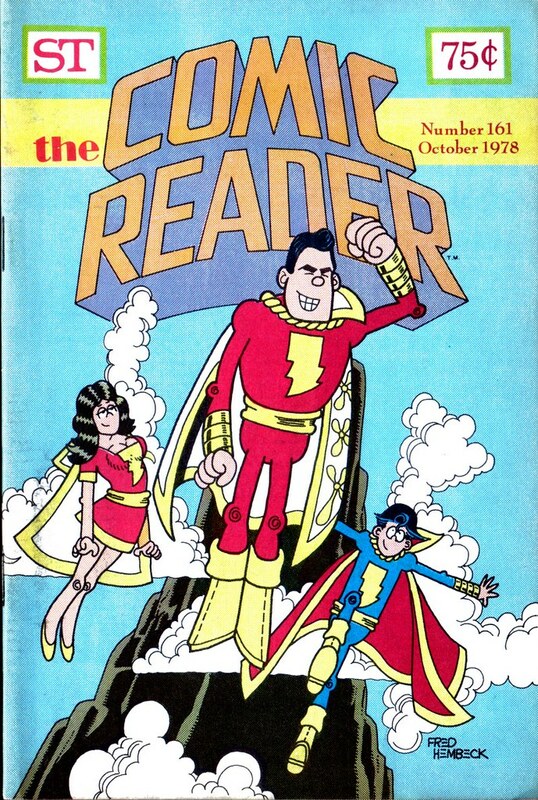 Fred Hembeck captured this classic trio in his Comic Reader 1978 cover. I like how Mary Marvel makes googly-eyes at the Big Red Cheese. Finally, here’s an illustration that Chris Stevens on deviantART did in 2009. There is probably some Alex Ross inspiration at work here. I’ve never understood why DC Comics didn’t immediately give the greenlight to Alex Ross’ proposal for Captain Marvel, which you can read in this chapter of the Oral History. Frustrating! Nuff Said.